Over the month of September we will be hosting events in our clinics to introduce you to our Aesthetic Nurse Injector, Sarah Sheedy. 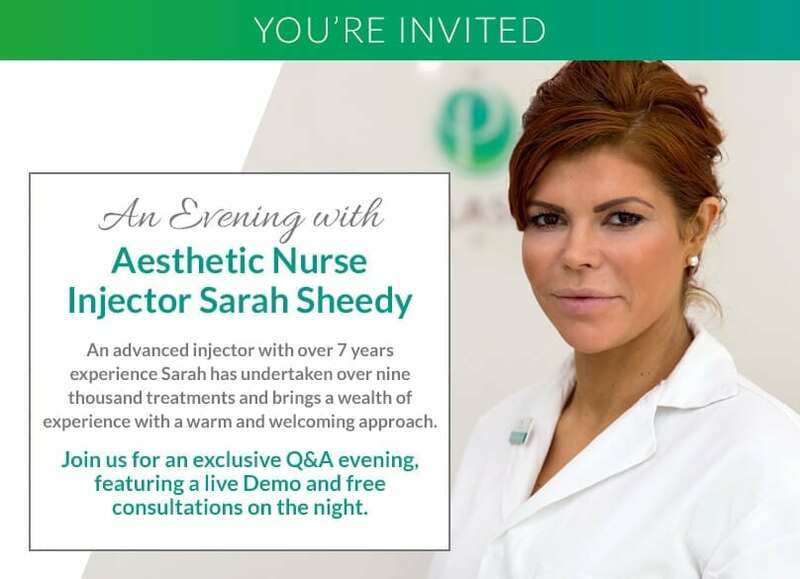 The events will be a great opportunity for you to learn more about injectables, and ask Sarah any questions you may have. What do the events include? When & where are the events? If you would like to find out more about these events, or book your place and consultation then contact us today!